A week after arriving home I drove out to Wainwright, Alberta, a town east of Edmonton, to visit with my friend and her kiddos. 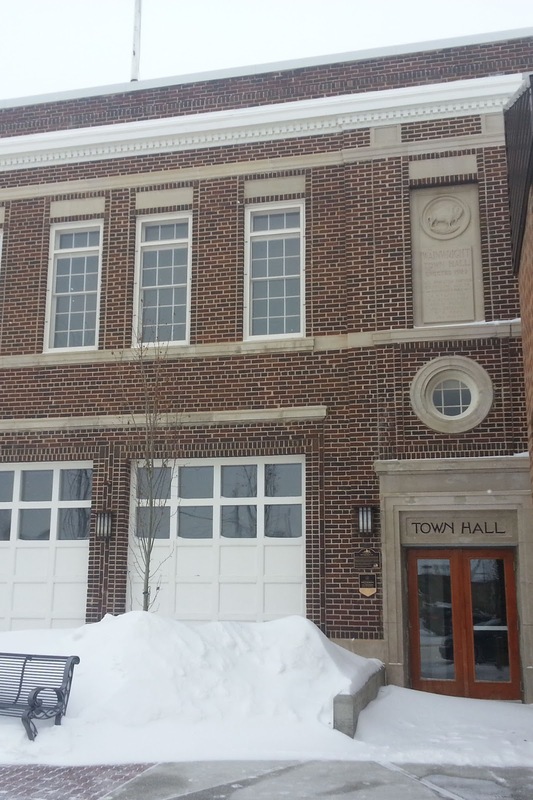 Wainwright is not an overly exciting place, with a population around 5000, but it is a cute town. I've been going out to visit for quite a few years now and this time decided to explore the town and take a few pictures to capture it's essence. Since arriving home I decided I want to get to know my country on a higher level and appreciate all that is Canada, the big and the small. Sometimes you have to stand back and realize something so simple that you take for granted on a daily basis can be pretty interesting if you take the time to look. Hoping I can do more "exploring" of my own backyard this year. Driving on a snow covered Highway 14. Note the CN Rail train to the right. 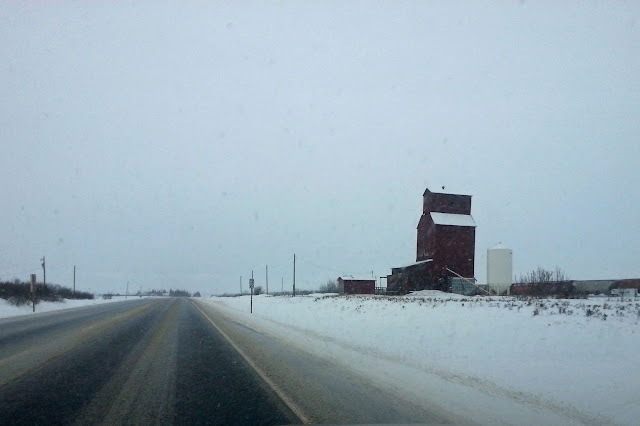 A typical sight on an Alberta highway. 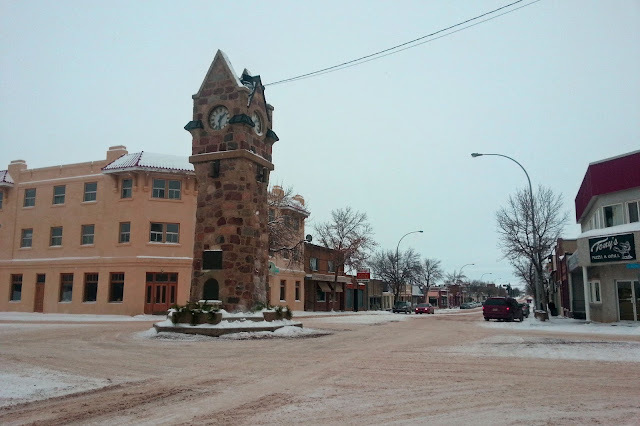 War Memorial Clock Tower at the center of town, looking down Mainstreet. 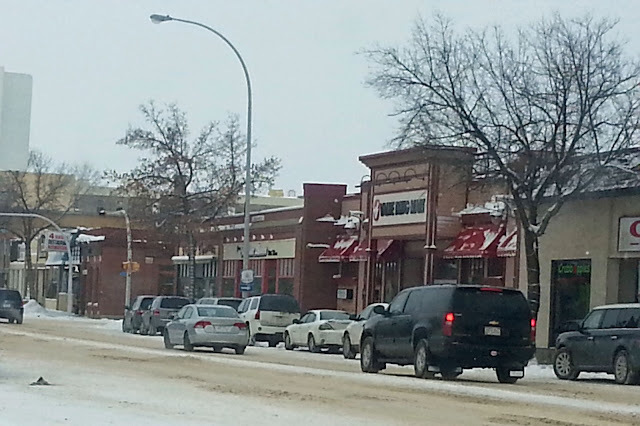 Mainstreet Wainwright. I love the vintage feel of some of the shop fronts. Town Hall, which I believe was previously a fire station. 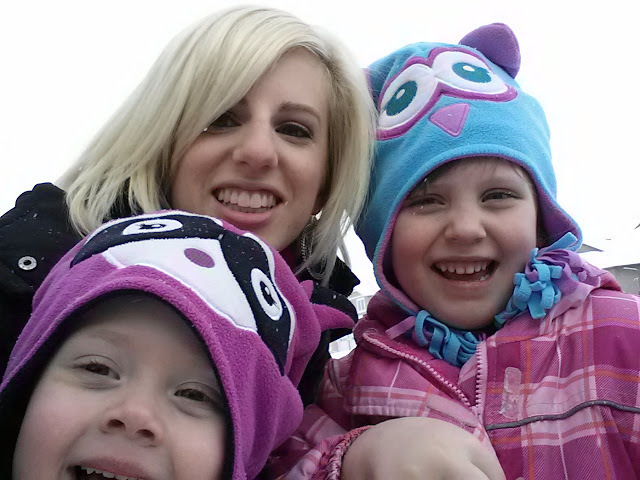 My little nieces and I enjoying the snow.